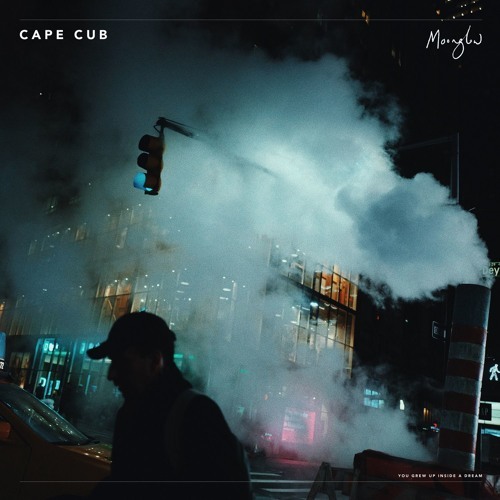 UK 5-piece band Cape Cub have just unveiled their brand new single Moonglow, a beautiful arena pop type of song. Here the guys present us with incredible songwriting skills wrapped around soulful vocals and an anthemic pop production. The song is perfect to fill arenas and be the highlight of a live show, getting the crowd all hyped up and singing along to this gem. What first caught my attention were those delicate piano keys and then Chad's vocals are super distinctive and he sure knows how to tell a story. Then it was a surprise that the song exploded into an anthemic pop track. If you're into acts such as Bastille, Aquilo and Amber Run then you'll love this song! Stream it below! Moonglow is the first song we’ve put out as a band and it’s a statement of intent for things going forward. Sonically speaking, it's been hugely influenced by our live set and we’ve gone all out. I mean, for the first time we've gone for bigger drums, chants, moments of both intimacy and almost over the top grandeur, a sample of a cafe in Copenhagen, and even organs, which is definitely a first. I don’t want to go too deep into its meaning... I want people to have their own interpretation, that’s important. But if I were to capture the sentiment of this song in one word I’d say it was hope. A reoccurring theme in my writing is this idea of a light in the darkness, and that’s what Moonglow is about... that no matter how bad things get, there's always hope. This was never meant to be one person. The whole thing started out as a project on my laptop. It’s now got to a crazy point where millions have people have listened to my demos and EPs across the world and the live show has grown into something I just couldn’t have imagined back when it first started. Our fans are literally the sweetest people, there’s a lot of them kicking about these days, and it’s because of them that this project has transformed into what it is. Like I said, this was never meant to be, or be about, one person.